Find out what stars like Lady Gaga, Cardi B, and Jennifer Lopez wore to this year's Grammys. The 2019 Grammys was full of surprises - and the red carpet was no different. Cardi B walked home with her first ever Grammy. The 'Bodak Yellow' hitmaker became the first solo female artist to win 'Best Rap Album'. She also turned heads on the red carpet in vintage Thierry Mugler. Lady Gaga was also a big winner on and off the red carpet. 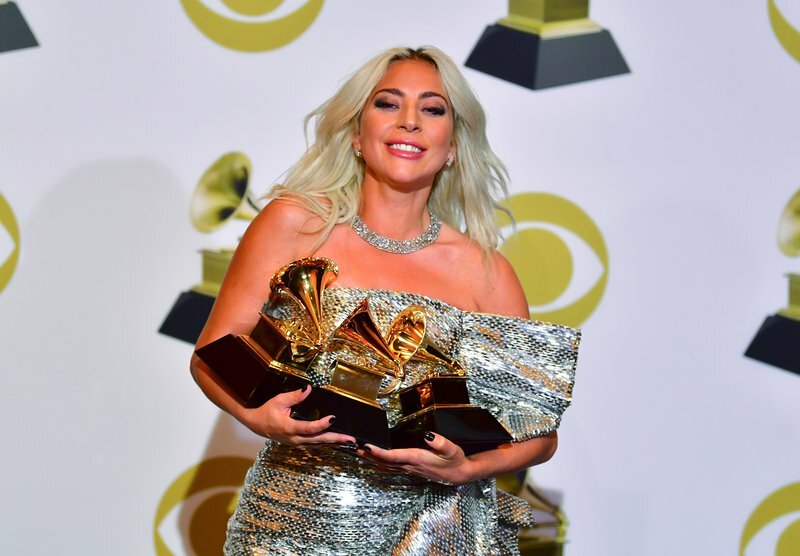 The 'A Star is Born' actress won 'Best Pop Duo/Group Performance' for her duet with Bradley Cooper, 'Shallow'. She also won 'Best Pop Solo Performance' for 'Joanne (Where Do You Think You’re Goin’?)'. The 32-year-old was also a 'Best Dressed' favourite thanks to her gorgeous Celine dress. Ariana Grande was a no show at the Grammys but still rocked her Zac Posen dress - at home! Here's a look at what the stars wore. For me, a big part of friendship is showing up for your girls—whether that’s for a birthday, a quick catch-up after work, or a major milestone. So I was thrilled to be there for the one and only @aliciakeys at the #GRAMMYs. She is one of the most genuine, caring, and thoughtful people I know—there’s no one better to help us all celebrate the unifying power of music! .... and then there was Ariana Grande. Ariana Grande cancelled her Grammy appearance after a dispute with the show's producers. That didn't stop her from wearing the custom-made dress Zac Posen made for her.